Comparing Biodiversity: Spider's, Spider's Everywhere! - AP Environmental Science! Habitat A will have a greater biodiversity because there are more places for them to live in. 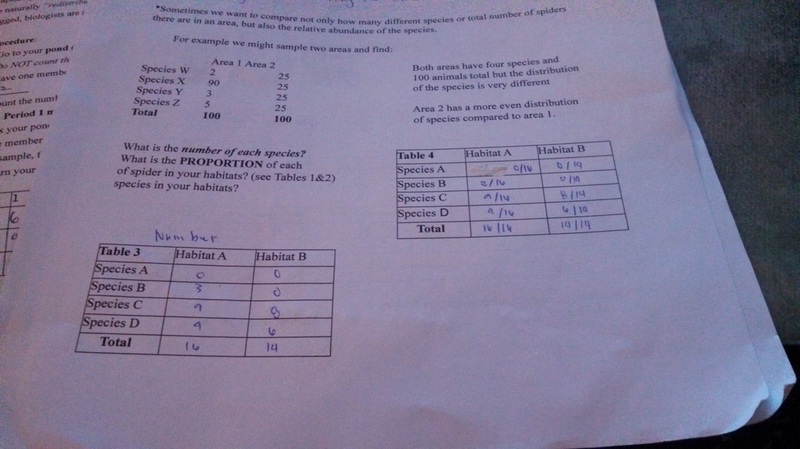 What is the number of each species? 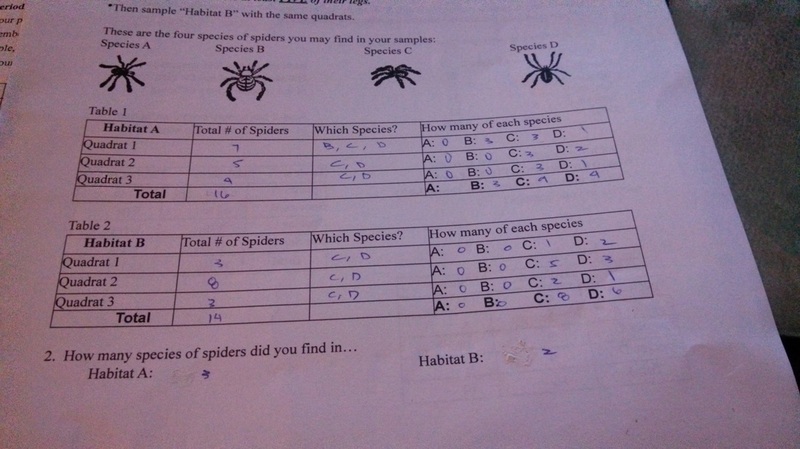 What is the PROPORTION of each of spider in your habitats? species in your habitats?